Anna Haifisch’s Artist sprawls on a mattress on the floor, staring at a paintbrush while a pineapple lies on his pillow. Later, he drinks a six-pack alone and then shows up too late for the party. Another day, a dog destroys the drone he’s installed in a contemporary art gallery, and then he’s told that he has no desk—there are only ball pools—at the start up where he work. He also has a fuzzy backpack in the shape of a Labrador. If this narrative sounds vaguely familiar it’s because we’ve all been Haifisch’s Artist at some point, haven’t we, in one way or another? In 2015 the German illustrator began drawing a weekly comic for Vice called The Artist, a strip about the lonely misadventures of a dishevelled bird that paints. Now season one has been released in its entirety as a gorgeous hardcover (by Breakdown Press in London and Misma in Paris). Sensitive, shy, and fragile, the Artist navigates his yellow and salmon pink pastel world with bewildered melancholy—no stereotypically rumpled-chic genius here. Haifisch underscores the cliché with a lofty tone that’s simultaneously satirical yet heartfelt; she still wants us to empathise with her character. Consider the birth of the Artist: “As soon the embryo hatches, the young artist is ready to absorb the sadness of the world,” the narrator informs us. “Who will I become?” asks the hatchling. “Oh dear world, please handle me with care,” he implores. He shivers in his shell in a way that recalls Sanrio’s sad egg, Gudetama (wait, side note: an egg and a bird—is millennial angst finding expression in the emblem of a fragile eggshell? ), Haifisch’s shaky, thin lines exude the trepidation and skeletal shape of her character. 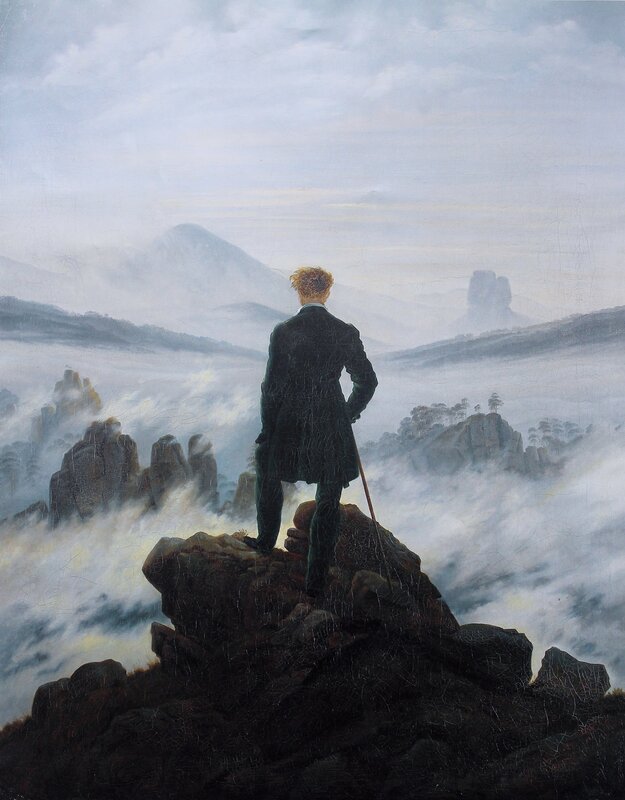 In another panel, the Artist stands center-frame on a mountaintop (an homage to Caspar David Friedrich’s Wanderer Above a Sea of Fog); it’s dream-like and symbolic, revealing that the Artist is standing on the brink of something, putting himself in unknown and adventurous situations, a lonely figure overwhelmed by a distant world around him but that’s his for the taking.